Oxytetracycline belongs to the group of tetracyclines and acts bacteriostatic against many Gram-positive and Gram-negative bacteria like Bordetella, Bacillus, Corynebacterium, Campylobacter, E. coli, Haemophilus, Pasteurella, Salmonella, Staphylococcus and Streptococcus spp. and Mycoplasma, Rickettsia and Chlamydia spp. The mode of action of oxytetracycline is based on inhibition of bacterial protein synthesis. 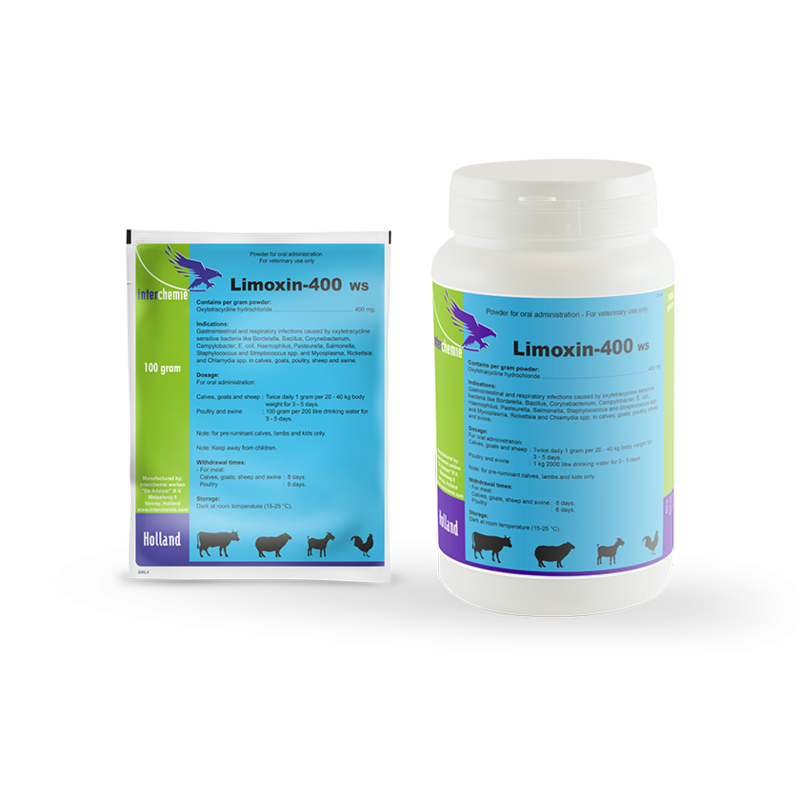 Oxytetracycline is mainly excreted in urine and to a lesser degree in bile and in lactating animals in milk. Administration to animals with an impaired renal and/or hepatic function. Poultry and swine : 1 kg per 2000 litres of drinking water for 3 - 5 days.